For over two decades, our attorneys at the law offices of Knepper & Stratton have advocated on behalf of those who have suffered personal injury due to another’s negligence. 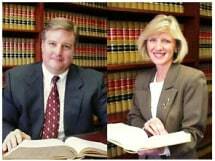 From our Newark, Delaware, location, we offer legal guidance and representation to people living in Newark, Wilmington and Dover, and throughout the state. We help you obtain the maximum compensation for your injuries. We also handle premises liability and employment law cases. In an effort to best serve you during this challenging time, we have a reasonable fee schedule, and we provide free initial consultations in personal injury matters. If you have suffered broken bones, head trauma or other serious injuries as a result of a drunk driving, car, truck or motorcycle accident, or due to a slip, a fall or dangerous property conditions, concerns over lost wages and mounting medical bills may cause stress and take your focus off of your recovery. We document the damages and your injuries, take witness statements, and even reconstruct the motor vehicle accident when necessary in order to help prove that your injuries were caused by the negligent or reckless actions of another. Our law offices’ team keeps you informed of your options, and communicates any issues or updates with you in a timely manner. Having your employee rights violated can turn a job you love into one you loathe. Barbara H. Stratton of the law offices of Knepper & Stratton has experience guiding people through the process of filing official complaints and with the legal claims process. She looks at your situation from every angle in order to create a strategy tailored to your specific needs and legal objectives. Our team works to help you get your job back or to obtain the compensation you deserve.